The way it's supposed to be. Photo by divemecressi. Today’s a whale of a day for our oceans and beaches! At noon, the Ocean Conservancy will be releasing its full report on the International Coastal Cleanup, the world’s only country-by-country, state-by-state data index of the problem of marine debris. As anybody who knows me could tell you, I’m a tiny bit of a fanatic about trash, so this is like Christmas and Halloween for me, all rolled into one big Hefty bag! 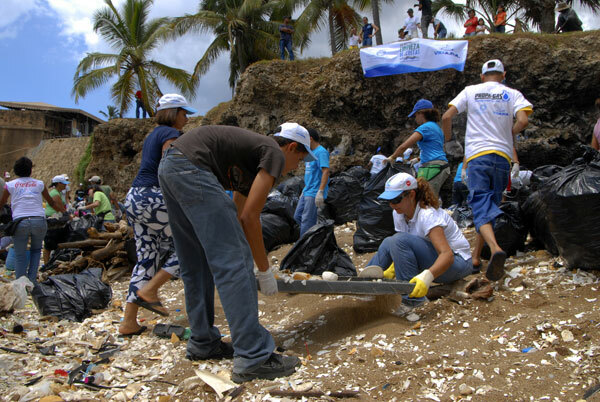 On September 19, 2009, in the 24th annual International Coastal Cleanup, hundreds of thousands of volunteers around the world hit their local beaches, lakes, rivers and waterways. They spent a few hours removing trash and debris from coastlines, and kept track of every piece of trash to produce a roadmap – to be released today! – for eliminating marine debris by reducing it at the source, changing behaviors that cause it, and supporting better government policies to protect our ocean. Santo Domingo volunteers clean up. Last year, 400,000 volunteers collected more than 6.8 million pounds of trash in 100 countries and 42 U.S. states and released 288 of 443 entangled animals. The numbers this year make the case for global ocean action even more compelling. Sea Turtle trapped in fishing line. Ocean Conservancy is a small but mighty organization that has been working diligently for 35 years to combat ocean degradation. Why? Well, the ocean covers 71% of our planet, is home to 97% of life on Earth, drives and moderates our climate, and creates our weather. It is the ultimate source of the water we drink and much of the air we breathe, and directly feeds millions of people. 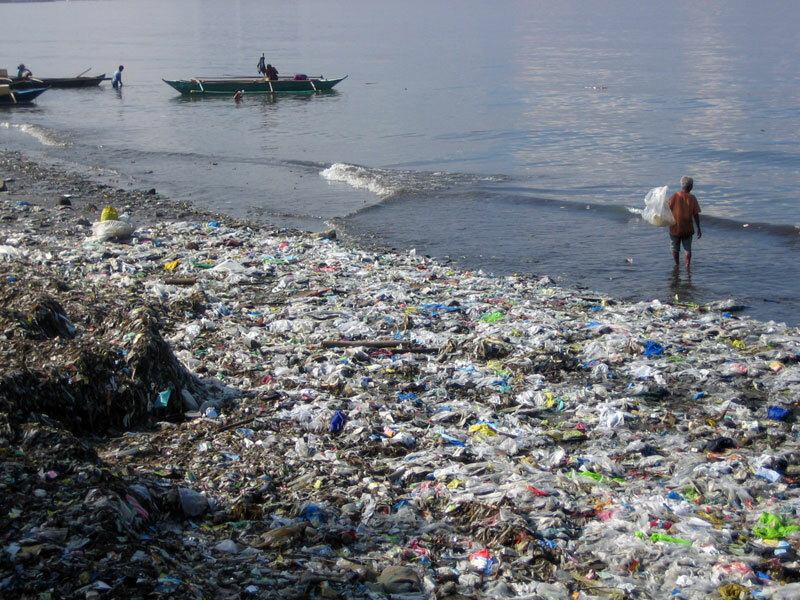 But we’ve trashed out and polluted the ocean like there was no tomorrow. It’s time we turned the tide. While 12% of our lands have been set aside as parks and wilderness, less than 1% of the ocean has been protected. Ocean Conservancy is also working to save some of the ocean’s most extraordinary places—our underwater Yellowstones and Yosemite Parks—from destruction. With climate change endangering the Arctic, and 20% of the world’s coral reefs already dead, there’s never been a better time to stand up for the ocean. 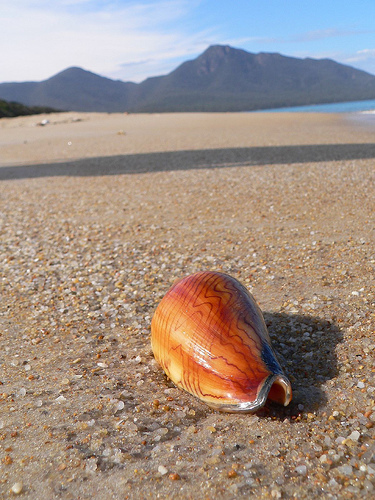 The only thing that should be washing up on our beaches. I’m supporting Ocean Conservancy today. I’m marking September 25, 2010 on my calendar for the next International Coastal Cleanup. And every day (to my daughter Lulu’s utter dismay) I’ll be picking up trash …everywhere I sea it.